With Cloud Storage gaining popularity over the past few years, more and more website applications are integrating with services like Amazon’s low-cost S3 “Simple Storage Service”. In the WordPress community many eCommerce, Backup, Contact, Membership, Media, and a wide range of other plugin types integrate seamlessly with Amazon S3 using API keys. These integrations make it easy for your website to seamlessly send or receive files without impacting the performance of your website. As with any storage device, it can become difficult to manage your files on Amazon S3 as they accumulate over time. The Amazon S3 webpage can be a bit tedious and time-consuming when trying to manage your content. Fortunately, some innovative companies have developed applications for the PC and Mac that make using Amazon S3 nearly as easy as using your computers file explorer. S3 Browser is a windows-based interface that provides an easy to use experience for managing your content. It’s offered in both a free non-commercial version and a more robust pro version for about $30. Both versions come with extensive support documentation and training materials. Once S3 Browser is installed and setup, you can manage all of your content more efficiently with its clean and easy to use interface. S3 Browser isn’t available for Mac but there is an awesome alternative – Commander One. Like S3 Browser Commander One is available in a free and more robust pro version for about $30. 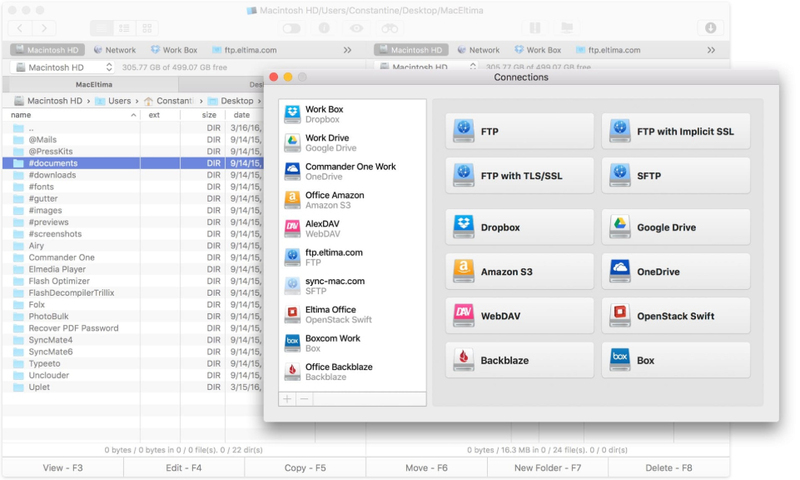 Unlike S3 Browser, Commander One allows you to access a wide range of file systems online, in the cloud and on your desktop including Dropbox, OneDrive, Google Drive, and Finder just to name a few. With Commander One it’s easy to access with Amazon S3 and manage files across your local storage and S3 buckets.